The Wismec Reuleaux RX 75 has been on the market for a while, but I still think it’s a good option if you’re looking for something in this price range. You can pick up the full Starter Kit over at Eightvape for only $17.95 right now. Not bad for a 75w box mod, a sub-ohm tank, and some coils (several other extras are included as well—see below). They currently have 2 colorways in stock: cyan and green. And keep in mind that you could get an extra 7% off and FREE shipping if you sign up for their membership program ($9.99/month). 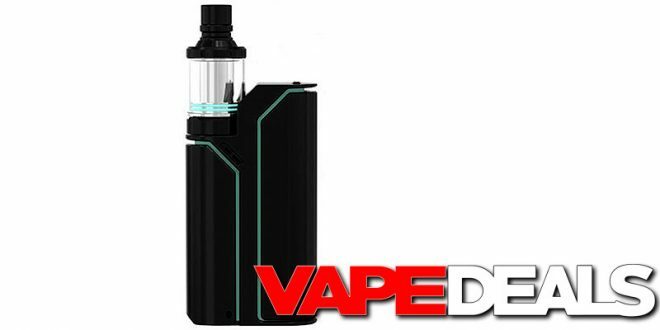 It’s also worth mentioning that Cvapor is still selling the Wismec Reuleaux RX 75 Box Mod (NOT the kit) for only $11.96. Check out the link below.